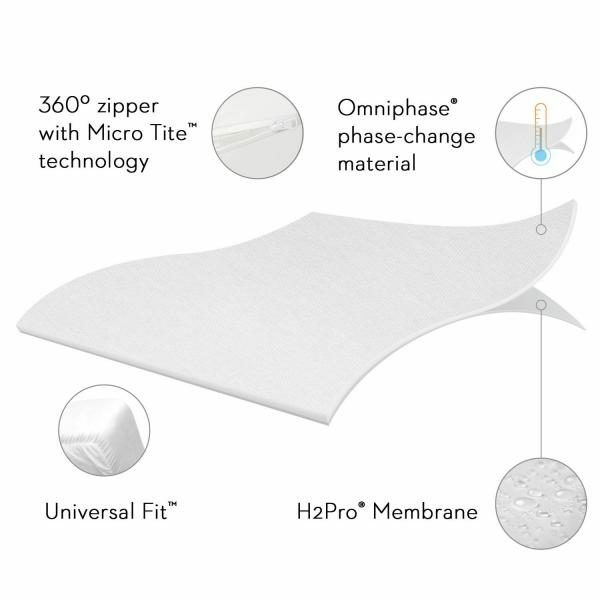 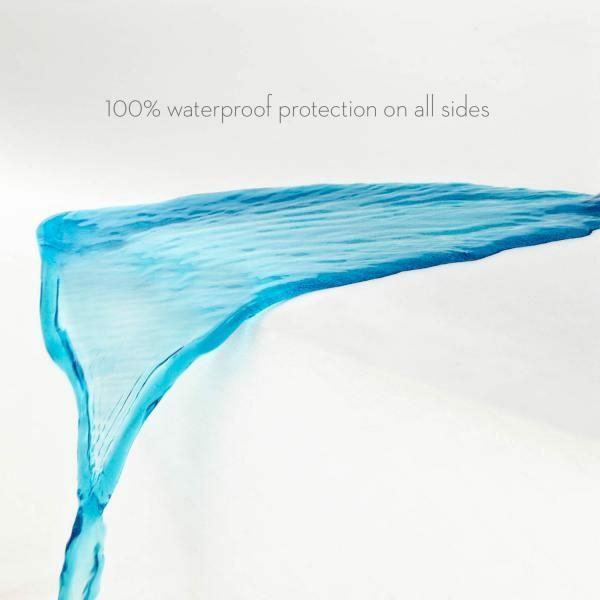 The Encase® Omniphase™ mattress protector delivers six-sided protection and a cool, dry sleep environment. 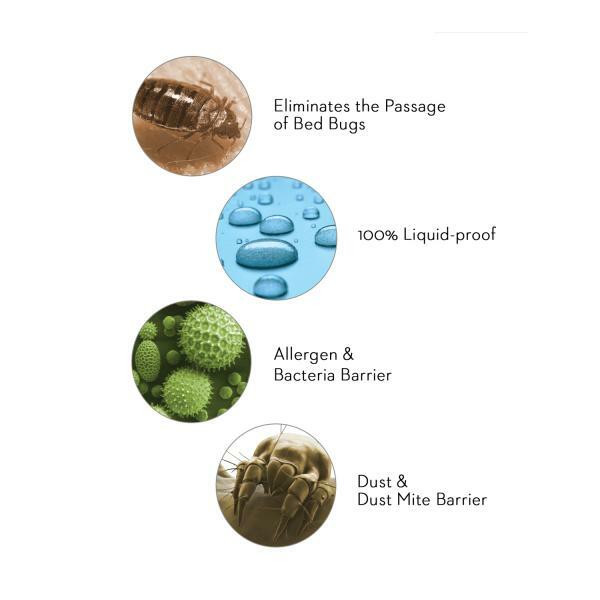 Patented and lab-certified technologies completely block bed bugs, liquids, allergens and dust mites. 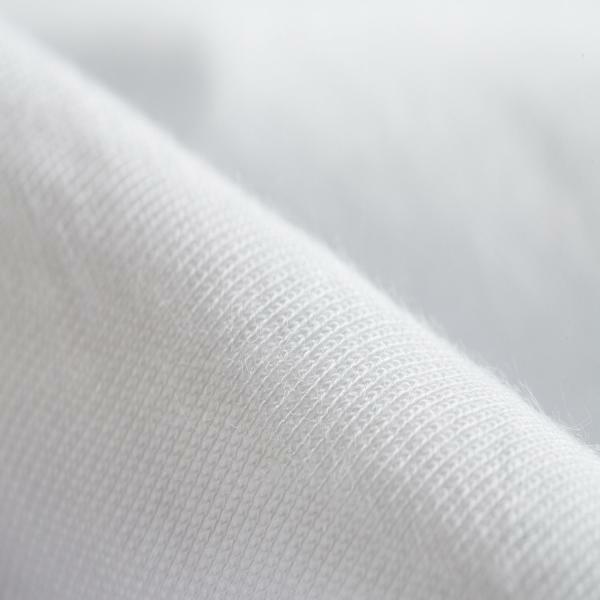 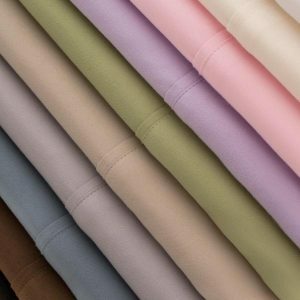 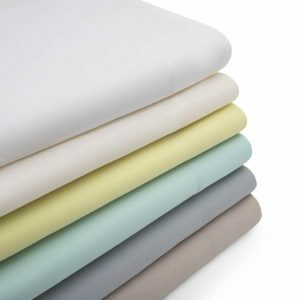 Omniphase™ phase changing fabric absorbs and releases heat to create a cooler sleep surface, while Tencel® fibers wick away moisture. 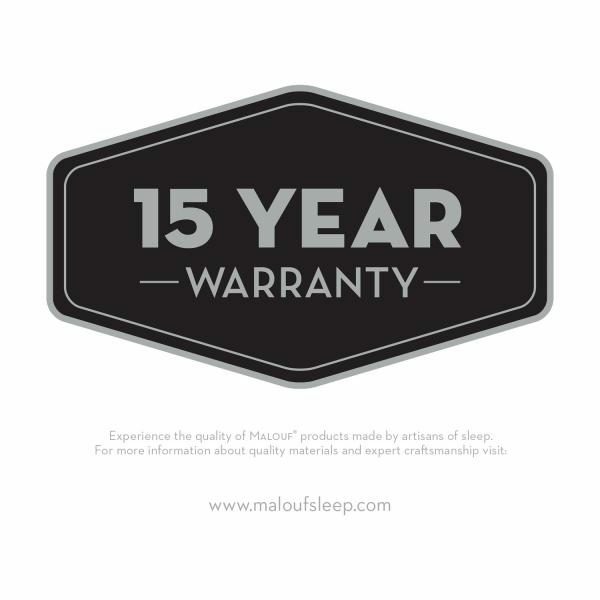 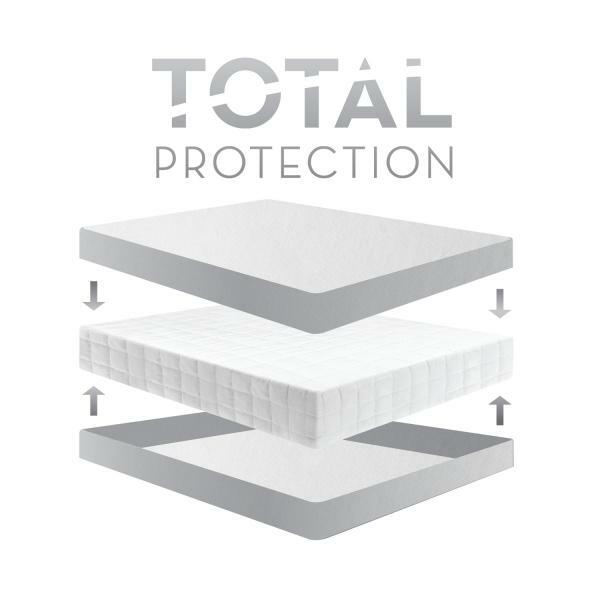 Universal Fit™ design ensures a secure fit on 6″ to 22″ thick mattresses. 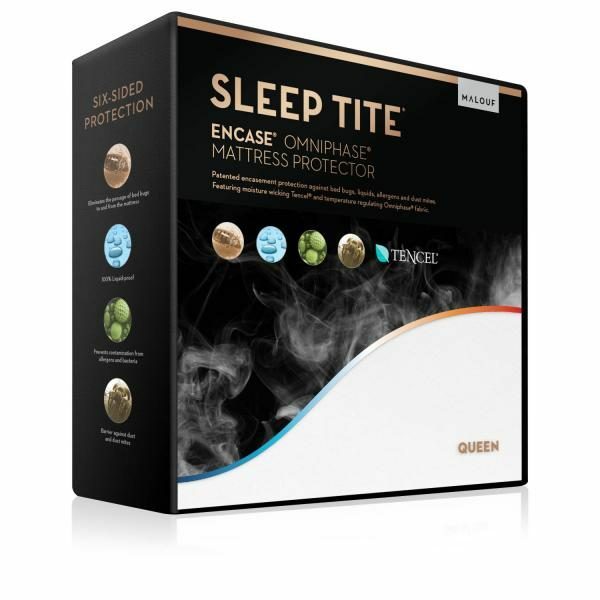 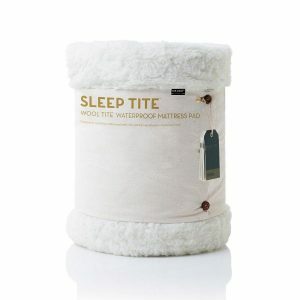 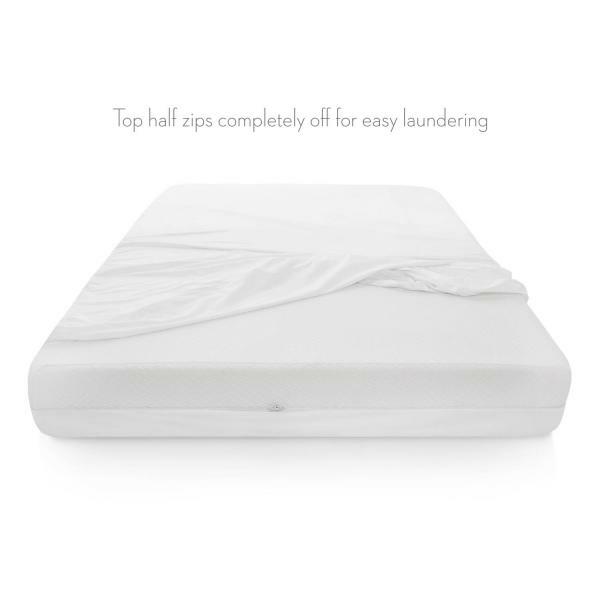 Visit our Store or Call Us For BEST SALE PRICES on this Mattress Protector!